Everyone home should have an upright vacuum cleaner. There – we said it. The best upright vacuum cleaner is able to power out tons of dirt and debris over the course of its life. It steers easily, has enough flexibility to get under furniture, and makes fast work of all the cleaning chores that exist in the home. 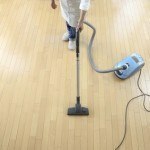 Other vacuums can substitute when necessary, but nothing surpasses the ease and power of the best upright vacuum. Nothing. The best part about the modern upright vacuum is that there are dozens of different makes and models that are designed to meet specific needs. We’ve compiled the best of the best in the chart below to make it easier to compare and contrast information. It’s the versatility of the modern upright vacuum cleaner that provides users with a primary advantage. Upright vacuums offer a number of different height adjustments, suction adjustments, and other unique tools that can be used to enhance the cleanliness of a home. There are several different filters available for the best upright vacuums as well so that allergies, dust, or other breathing irritants can be effectively removed. There are some unique features that have been included into many upright vacuums that are worth considering as well. Retractable cords that will automatically roll up with a simple command. Hoses are often crush-proof, yet still flexible enough to reach difficult surfaces, edges, and corners. There are headlights often installed in the front of the vacuum head to make it easier to locate debris. Upright vacuums are also available in bagged and bagless options. 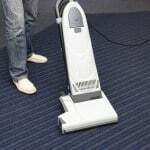 The bagged vacuum cleaner has more ongoing maintenance costs, but also reduce the need to be in contact with the debris, pet hair, and other items that have been vacuumed up. If you just took out a spider colony, do you really want to be sticking your hand into a canister to remove some stuck pet hair? Many upright vacuums today are also designed for the multiple floor types and styles that a home has. 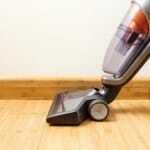 A simple switch can transform a vacuum into a hardwood floor cleaning machine. On carpets, the beater bar still makes those nice brush patterns in the carpet that are aesthetically pleasing. Let’s not forget the unique handheld tools that attach to the hoses for upholstery cleaning and other specific needs. What Are Some of the Disadvantages of an Upright Vacuum Cleaner? The best upright vacuums can power through a lot of dirt and debris, but they require a lot of bulk to make that happen. It is not uncommon for an upright vacuum to weigh more than 15 pounds. This is fine when trying to clean a large floor or hallway, but what if the stairs need to be cleaned? You’d have to hold the upright in place while using a hose attachment and that can create a lot of fatigue. Many upright vacuums also tend to have specific parts that must be replaced over time so that the vacuum continues to work. The most common part that gets replaced [outside of bags on bagged uprights] is the small rubber band that spins the beater bar. These tend to smoke out after a few months of use. The brushes on the beater bar, the hose, and the height adjustment mechanisms also commonly malfunction and need to be replaced. When an upright vacuum breaks down, it often needs to have a complete repair. That means not having a vacuum cleaner for what may be an extended period of time, so look for models that have extended warranties and then take advantage of them. The first step in this process is to gather information. Some makes and models are made better than others. Our comprehensive reviews can help you to get a first glimpse of the features and advantages of each upright vacuum so that you can tell whether or not it has been built to meet your needs. You’ll also want to consider how much floor actually needs to be cleaned. Larger spaces with fewer corners and edges can benefit from a standard upright vacuum with a large head to reduce the amount of time it takes to clean. Smaller rooms or those with unique furniture or architectural components benefit from upright vacuums that have ball steering or other flexibility options. 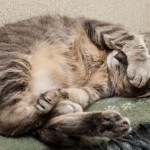 Health considerations are also an important component of the upright vacuum. Uprights tend to have more powerful suction, which means they can remove more of the allergens from the environment. Bagged and bagless options also tend to have larger disposal containers, which means they need to be maintained less frequently than any other vacuum style. Some uprights have a 55 foot cleaning radius, which is nearly double that of canister vacuums. What Are the Prices of Today’s Upright Vacuums? Price is actually one of the primary advantages of the best upright vacuum cleaners. Although some premium name brands can kick up the price of a new vacuum above $600, most households can find a durable upright model for under $100. Some under-$100 upright vacuums even include enhanced pet hair removal options, dirt sensors, and are self-propelled. Most of the best upright vacuum cleaners on the market today fit into the $100-$200 range. Premium models can really power out ground-in dirt and debris, but the average priced models can do the same thing with the occasional second pass. Is it worth paying a $300 premium to vacuum some floors once per week instead of twice per week? The reviews on this site can help you to answer that question. Most people vacuum their carpets and floors in straight lines. There’s two reasons for this: the beater bar creates a pattern on the carpet that is aesthetically pleasing in straight lines and their vacuum cleaner isn’t maneuverable. The Hoover WindTunnel Air is a vacuum cleaner that you can literally steer with just a flick of the risk. Run around objects, steer under end tables, or clean the area rug under your dining room table with ease. Click here to look at the price on Amazon and find a great deal. Oreck has long been a name associated with quality in the vacuum cleaner industry and all it takes to discover this first-hand is to try this tool first-hand. It really is one of the best vacuum cleaners today that can help to create a clean home. 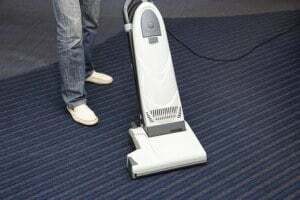 With 35 feet of cord that easily wraps up on the handle and side edge brushes that help to collect dirt and debris on one pass, cleaning a carpet is extremely fast. The handle even pivots down to become parallel with the floor without lifting the head of the vacuum so cleaning in tight spaces is easy to do. With this upright vacuum, pet hair doesn’t stand a chance. That’s not the only reason why this is one of the best upright vacuums around right now to create a clean home. It’s comfortable and easy to push around. 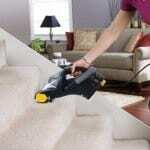 It picks up dirt and debris in just one pass, even when it has been ground down into the carpet. Have you noticed carpet spots that keep appearing despite frequent cleaning? That’s because dirt has become attracted to those detergents. The Dyson DC65 Animal makes it possible to get those recurring stains gone for good. This is the vacuum cleaner for those who want to have the cleaning power of a Dyson, but the affordability of a Hoover. The Shark Navigator Lift Away offers a powerful upright solution for most homes. It struggles just a little when it comes to pet hair pickup, but the tradeoff is that this vacuum cleaner can create an effective clean on virtually all floor surfaces. If you’re tired of feeling like your home is a little grimy, then this is the best vacuum cleaner for you today. It will give you a consistent, professional-style clean. Take power over your home’s environment today with the best upright vacuum cleaner around. Use these reviews to discover the right tool to meet your needs and then get to work vacuuming. You’ll notice a marked improvement in the cleanliness of your home right away.